Glenmaroon House Bed & Breakfast is a luxurious family run country home in a private tranquil riverside location, just 1km from Blarney, Cork. Modern spacious colour co-ordinated bedrooms with TV, hairdryer, power shower and private parking. All rooms fitted with smoke alarms and emergency lighting, and free WiFi. 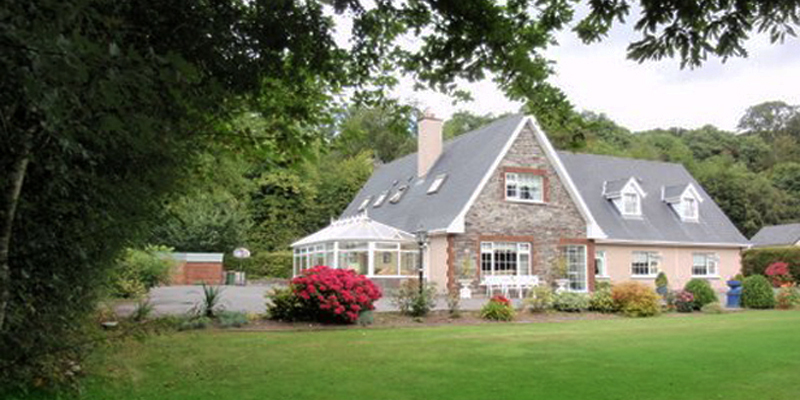 Glenmaroon House Bed & Breakfast is the perfect country escape in the beautiful County Cork scenery, ideally located within 1km of the pretty village of Blarney and just a 20 minute drive from Cork City Centre. A modern, spacious home, guests can enjoy steaming power showers and avail of secure private parking. All rooms at Glenmaroon House Bed & Breakfast are fitted with smoke alarms and emergency lighting, and free WiFi. Visitors can explore the ancient Blarney Castle, home to the Blarney Stone, and a wealth of stunning natural scenery. Golf, fishing and idyllic walking and cycling trails are all nearby, showcasing the area’s renowned landscape. For more further information contact Glenmaroon House Bed & Breakfast proprietors Eddie & Ann Fogarty by Email: glenmaroonhouse@hotmail.com or Call: 021 4385 821.